Southern Oregon Coast Outpost Launches! Warm Current launched its third outpost in 2017 down on the southern Oregon coast, driven by the stoke and enthusiasm of Chris Chapman, known to all as "Chappy". Chappy saw the need for a healthy and positive outlet for youth in the communities of Port Orford and Bandon and came to Warm Current with an ask: How do I replicate what you've done up north? We gave him the keys to the trailer (which has served as a kids camp incubator in almost every community we now work in), provided training on camp logistics and helped with a little back-end organizing. Before we knew it, he'd whipped together camps in 4 different communities, lined up Bandon Crewing Co. as a pizza sponsor and had "hyped" the program all over the south coast. 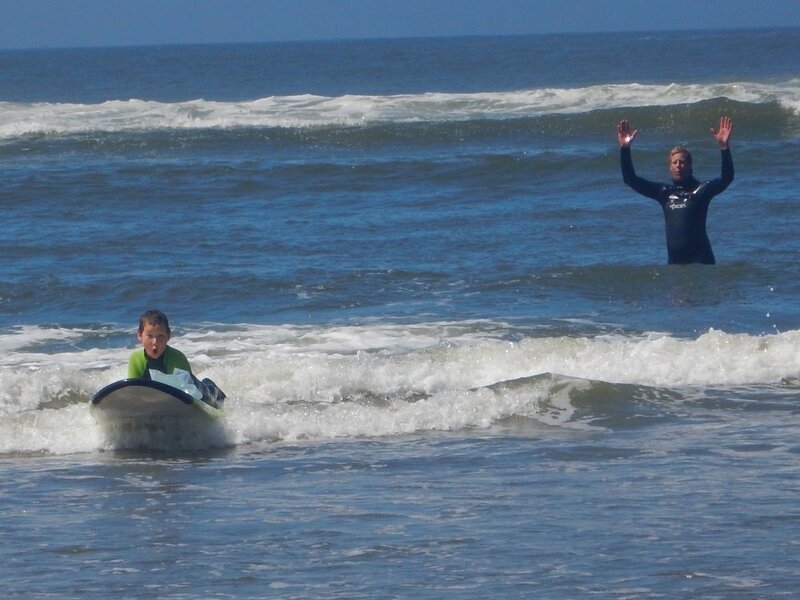 With the help of a growing cadre of south coast volunteers, Chappy organized and ran 5x larger community camps in Port Orford, Bandon, Coos Bay and Florence - helping over 150 kids hit the waves, many for the first time! In addition to the larger camps, the south coast crew ran a number of small clinics when the sun, wind and waves all lined up! We've held camps on the south coast before in conjunction with the Surfrider Foundation and the Curry County 4H program, but in one summer season, Chappy has dramatically increased our presence and impact. He's already got more demand for future camps than he knows what to do with!